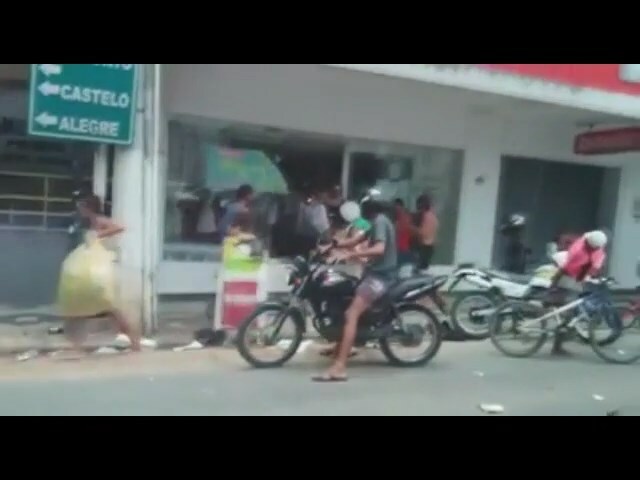 Real Life Purge Occurs In Espirito Santo Brazil, As Police Goes On Strike! Police in Brazil have gone on strike, leaving the country unarmed and left in a “Purge” like chaos. In 30 cities across Brazil, militarized police are refusing to do their jobs. According to an anonymous source in the city of Espirato Santo, Brazil, the chaos can be comparable to the 2014 thriller “Purge”, with people running rampant with guns and machetes, stealing from malls, and even dead bodies lying in the streets. As buses are set ablaze on night streets, and people crawl for shelter covered in blood, Brazil is slowly becoming overtaken by it’s people. i cant wait to do this in the U.S.A.
Friggin’ animals. Gas ’em all.